Dr. Kostides both welcomes and enjoys working and helping children to maintain a healthy and high level of oral health! Children’s dentistry is his specialty! Your child’s first visit will be enjoyable with a free introductory tour of our office. 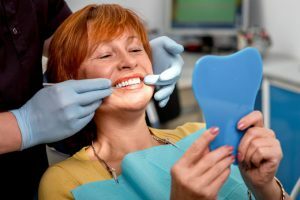 Dr. Kostides and his team’s reassuring approach make every visit comfortable, relaxing and even fun! 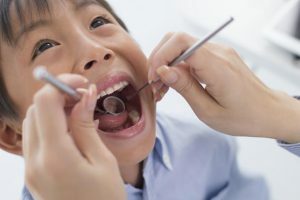 Introducing your child to the world of dentistry in a relaxed environment enhances your child’s positive attitude towards dental health, creating an eager office participant. Dr. Kostides welcomes and encourages children as young as three years old. To enhance your child’s visit and experience here at our office, Dr. Kostides offers a children’s play area, as well as Game Boys to keep your little one amused. Dr. Kostides feels it is also important to reward your child’s good behavior with a little gift upon leaving the office. Dr. Kostides also welcomes parents to join their child in the treatment room if they so choose. 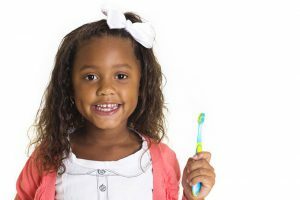 Dr. Kostides feels it is very important to make sure your child is educated at every visit on their oral and overall health. To that end, Dr. Kostides offers inter-active patient education and information. Contact us today to arrange your child’s complimentary visit with Dr. Kostides!